The moors north of Glen Garry lie on deep glacial deposits. These are often washed out by floods or changes in the courses of burns. 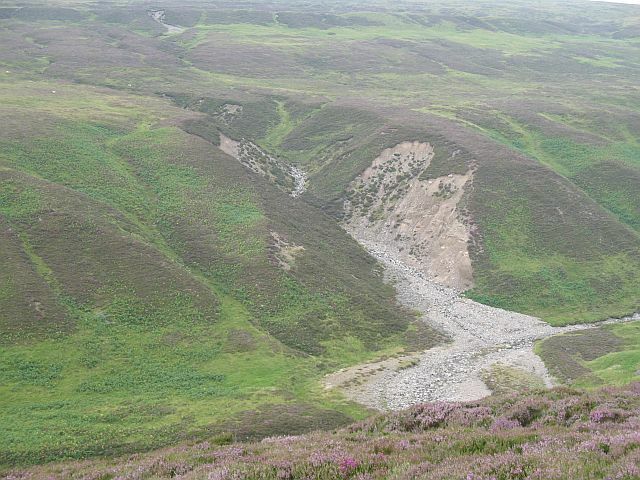 The steep banks now lie well back from the big water courses like the Allt Glas Choire, but the small tributary burns occasionally wash stones and gravels out of the moorland. Because of abstraction for electricity generation, there is little water in the Allt Glas Choire here.